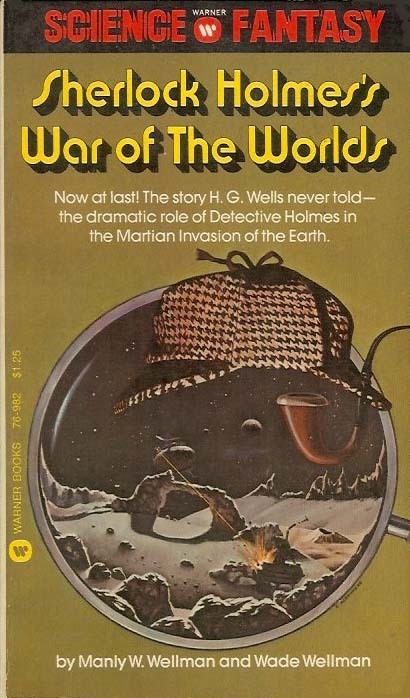 Sherlock Holmes vs. the Martians! Not as anachronistic as one might think. Recall the original H.G. Wells story was set in London during the time of Holmes. So terrifying, it rocked the world when H.G. Wells reported it in 1897–and again, in 1938, when Orson Welles broadcast it. How Holmes and Challenger knew an invasion was coming. How they captured an alien invader. How the deduced the origin of the invaders. The Reason for the landings–and the fatal flaw in the plan for conquest.